I write to you at the end of a very eventful year, especially for economies and governments. There were unexpected results in many elections and referendums, and the extent to which markets and pollsters misjudged major votes was astounding. Brexit, the Columbian Peace Deal, the US presidential election, the Italian constitutional referendum – the models and analysis that seemed to work so well in the past were upended by new trends and patterns that will require a major revision to the way political scientists, economists and investment professionals model the world. It is a good reminder to those of us who rely on quantitative models to continually test our assumptions, be skeptical of small sample sizes and not rely too heavily on historical data when predicting the future. Another theme in 2016 was the dismal reputations that bankers and asset managers have in society right now. Each candidate in the presidential primaries and the main election seemed to get the loudest cheers when bashing Wall Street and hedge fund managers. But members of the CFA Society are helping to counteract this reputation. Besides our adherence to a Code of Ethics we have Society members providing financial education in high school classrooms with BestPrep, a partner program of CFA Society Minnesota. Other charterholders mentor younger colleagues through our professional mentorship program. Some help develop CFA curriculum through the Program Practice Analysis process, or teach our Level I, II and III prep classes, or do a myriad of other volunteer activities that help determine the future of finance and its reputation in the country. I sincerely appreciate all of the volunteers who support CFA Society Minnesota initiatives. I also want to thank each and every one of our members for the work you do each day for your clients, and for adhering to the highest ethical standards despite the turmoil that sometimes surrounds us. I am constantly impressed and inspired by the work being done by charterholders in the region, and I appreciate your commitment to our Society and the industry. As 2016 comes to a close, I want to wish all Society members and their families a very happy New Year. CFA Society Minnesota encourages its members to contribute to Freezing Assets. This is piece written by one of them to help individuals identify a trustworthy investment advisor. On October 23, 2016, 60 Minutes aired a story titled “Thrown for a Loss” that detailed how dozens of NFL players lost over $40 million in an investment brought to them by their financial advisor. These individuals invested in a risky entertainment and gambling complex built in Alabama. Mistakes were made that caused the losses. One of the biggest was also the first—the individual these NFL players hired to advise them. Catastrophe may have been avoided had more time been taken to vet their financial advisor. He/she goes to my church. I see their ads on TV or hear them on the radio. He/she drives a nice car (or has another other status symbol), so he/she must be good at what they do. The fact is none of the above offer insight into the person’s integrity, competence, or qualifications. A good financial advisor will tell you the questions you should be asking. If not, here’s a list to get you started. What is your wealth management process? What is your investment management process (the two are different)? How are you paid?/What are your fees? Do you earn incentives from the products you recommend to me? Do you have any business relationships with any outside financial firms? The above questions can provide meaningful insight. The first two questions allow you to compare between multiple financial advisors. Their process should be disciplined, repeatable, and remove human emotion. The final three show transparency, or lack thereof. Watch how these questions are answered. The advisor should be comfortable describing fees. Every professional (doctor, lawyer, accountant) receives compensation for their services. Many investment products contain fees that aren’t prominent to the investor. If a financial advisor tells you there’s no cost, it’s a red flag. The direct method of asking questions is effective. However, there are also indirect red flags to watch out for. Be aware for the person that sells past performance rather than a process. Also, many advisors offer seminars to the general public and/or to their clients. Unfortunately, the intent of these seminars is to sell you a product rather than provide education. That’s financial sales, not financial planning. With the above in mind, it can still be a daunting task choosing among the 285,000 financial advisors in the United States (according to Reuters). To narrow that list, consider working with a CERTIFIED FINANCIAL PLANNER™ professional or Chartered Financial Analyst. Members of these professional organizations sign an annual ethics pledge. It states they will act with integrity, independency and objectivity, and put your interests first. Individuals who attained either designation completed a rigorous education and examination process they don’t want to jeopardize. Finally, utilize tools to help you in this process. One such is BrokerCheck. It’s from FINRA (Financial Industry Regulatory Authority) and helps you research the professional backgrounds of brokers and brokerage firms, as well as investment advisor firms and advisors. Your attention should be placed on the disclosures section. Disclosures can be any customer complaints or arbitrations, regulatory actions, employment terminations, bankruptcy filings and any civil or criminal proceedings the individual was a part of. Look how often the individual has switched firms. My personal opinion is that this is also a red flag. Reasons for departure are not given, so I would suggest asking. This industry heavily recruits, often paying the advisor to switch firms. Those who do that often are probably looking out for themselves rather than you. The process of hiring a financial advisor should be completed with the same diligence as buying a home, car, or television. With the tools to perform the proper research and ask the right questions, you can find someone who puts you first. 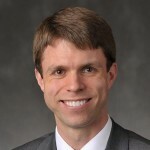 Craig Popp, CFA is a Financial Advisor with Raymond James Financial Services, Inc. Member FINRA/SIPC located at 115 Litchfield Ave SE, Willmar, MN. Craig Popp can be contacted at craig.popp@raymondjames.com. Any opinions are those of Craig Popp and not necessarily those of RJFS or Raymond James. Expressions of opinion areas of this date and are subject to change without notice. Investing involves risk and investors may incur a profit or a loss. There is no strategy that ensures a profit or guarantees against a loss. Past performance is not a guarantee of future results.